Intercon Bedroom Set Pasadena Revival INPR5450SET. 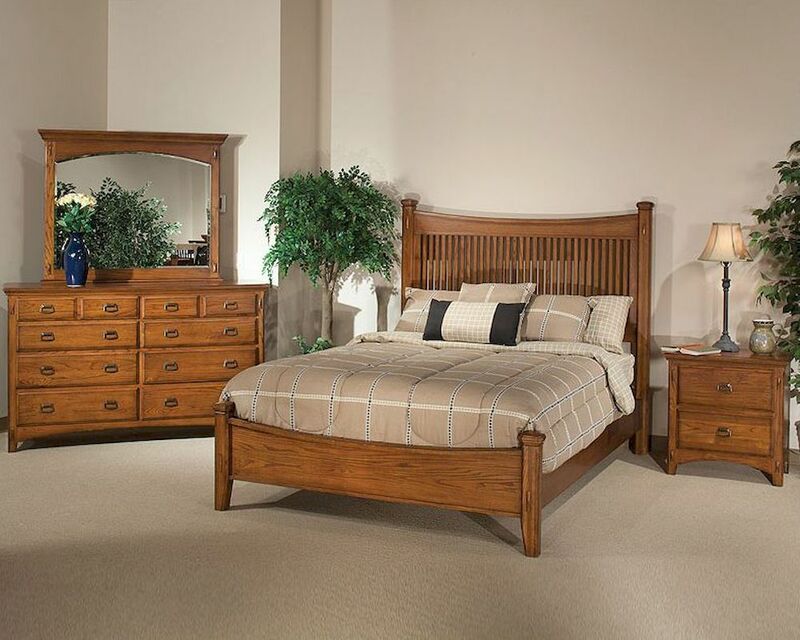 The Pasadena Revival bedroom set from Intercon is made from Oak Veneer and Select Hardwoods and has a Medium Brown finish. (Headboard IN-PR-BR-5450Q-MBN-HB, Foodboard IN-PR-BR-5450Q-MBN-FB, Rails/Slasts IN-PR-BR-5450Q-MBN-RS). 1 x Night Stand IN-PR-BR-5402-MBN-C.
(Headboard IN-PR-BR-5450K-MBN-HB, Foodboard IN-PR-BR-5450K-MBN-FB, Rails/Slasts IN-PR-BR-5450K-MBN-RS). Queen Bed – 66.5"w x 82"d x 61"h.
King Bed – 82.5"w x 82"d x 61"h.
Night Stand – 27"w x 16"d x 27.25"h.
Dresser - 64.25"w x 18"d x 39"h.
Mirror - 48.75"w x 3"d x 38.25"h.
Constructed from oak veneer and select hardwood. 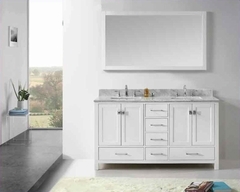 French dovetail drawer fronts and english dovetail drawer back construction for lasting durability. Mission style beds and case pieces. Standard footboard in queen and king size beds. Extra slat support for storage beds.